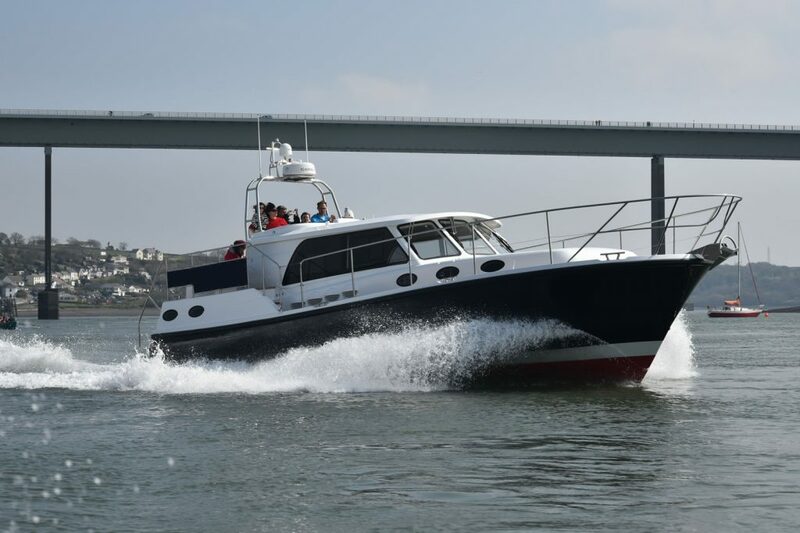 At DALE Motor Yachts, the DALE Nelson 38 will always be very special, regarded as one of the best Semi Displacement Motor Cruisers of it’s kind – not only is it extremely accomplished, it is the boat that established us as builders of luxury finely crafted motor yachts, “peerless build quality” was how the boating press put it, and earned us the reputation of “Kings of boats that laugh in the face of rough seas” – again the words of a magazine editor. The standards established for the 38 then lead us into building the “achingly beautiful” DALE Classic 45, a new design from the Nelson designer, Arthur Mursell of TT Boat Designs, that was developed to offer even greater levels of performance and sea keeping. With every boat featuring a bespoke hand crafted interior, the 45 was an immediate hit with journalists and owners. 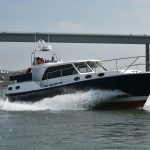 ….the DALE 40 takes the Nelson 38 to the next level with the best attributes of the 38 and 45 – further enhanced sea keeping that improves on levels that already astonish even the most experienced of helmsman, and substantially more accommodation space, this is sure to be one of the finest luxury motor yachts of it’s kind. The forward underwater profile of the hull follows the 38 to offer the best upwind ride, whilst the aft sections borrow from the 45’s greater deadrise for improved handling in following seas. The latest CNC machining techniques have been used to build the plugs and moulds giving the new DALE 40 hull and superstructure THE highest level of accuracy and finish and allows us to customise the internal arrangements to the finest of detail. It goes without saying that the levels of personalisation for each owner will be everything you expect of a DALE build, whilst the standards of fit, finish, installation and attention to detail will continue to match the standards of the world’s finest motor yachts. Contact us by phone on +44 (0)1646 603112 or by email to: info@dalenelson.co.uk if you’d like us to keep you up to date with news and photos as the build progresses.